Do not -- I repeat, do not -- buy these. They are horrible, horrible, horrible. They taste like homemade brownies, but covered in a fudgy chocolate. Who wants that? And they are already made, ready to pop into your mouth right from the refrigerator. The horror! Why would someone ever want this? 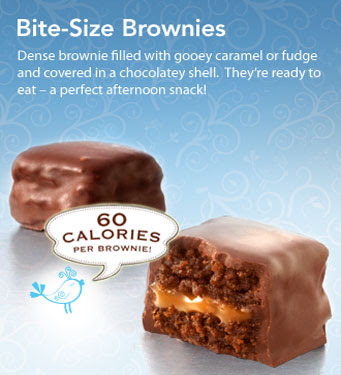 And only 60 calories a piece. I mean seriously, this is just absurd. I am telling you -- run far, far away from these little things. But if you absolutely insist... Save $1 on them with this coupon. Because otherwise they are a bit pricey at $3-something for 12 pieces. Consider yourself warned. And try not to pop back 8 without realizing it. Or 9. Just saying.